Antique Italian painting of the late 19th century. Work oil on canvas, in the first canvas, depicting "Landscape with hunter and bloodhound" of good pictorial hand. Impressionist painting of great brightness signed and dated 1899 lower left (see photo). CarvingOne of the most used ornamental processes in the applied arts is by removing part of the material of the object with appropriate instruments and following a predetermined design to reveal the decorative motif. [...]Carved and golden wooden frame of beautiful decoration. 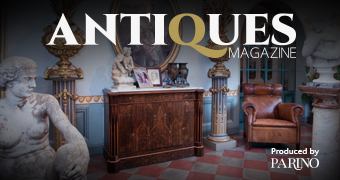 Framework for antique dealers and collectors in excellent condition. Sight size: H 51 x W 76 cm.